In the past few years, there has been a lot of awareness about the benefits of olive oil and its usage in our day to day life. Olive Oil has a lot of benefits and can be consumed/used in many different ways. In this article, I will cover all you need to know about Olive oil and it’s benefits. 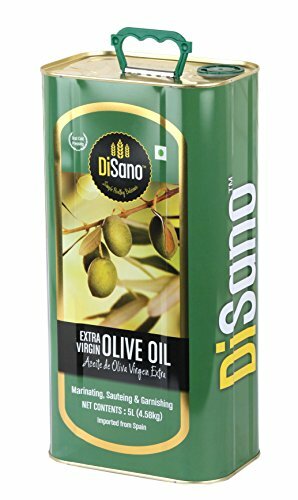 I will also show you how to buy olive oil online in India. It is gotten by grinding olives and using either a chemical or mechanical process to extract the oil. All over the world, olive oil is widely used in salads, cooking, soaps, cosmetics, and even as fuel. It is very commonly known as ‘Zaitoon Oil’ or ‘Jaitun Oil’ in India. Among the many benefits of Olive oil, researches have shown that it decreases the risk of coronary heart disease, blood pressure, and blood sugar levels (which are a few things quite prevalent in India). Some of the most important health benefits of olive oil are highlighted below. Olive oil also commonly known as Zaitoon Oil (in Hindi) is a rich source of monounsaturated fat and antioxidants such as chlorophyll, carotenoids and vitamin E.
This high level of monounsaturated fats present in olive oil not only lowers Low-Density Lipoprotein (LDL) levels protecting you from atherosclerosis but also allows the High-Density Lipoproteins (HDL) to clean the cholesterol present in the arteries. The body uses up the healthy fats present in olive oil to create natural anti-inflammatory agents that helps decrease the severity of both arthritis and asthma. Several studies have shown that a monounsaturated fatty acid present in olives known as oleic acid possess the ability to decrease the effect of oncogene (a gene which transforms a cell into a cancerous one in certain circumstances). Furthermore, it has been reported that high consumption rates of olive oil have the ability to reduce the risk of having any type of cancer. Researches reveal that a Mediterranean style diet, rich in olive oil decreases by about 50% the risk of type II diabetes when compared to a low-fat diet. Initially people were advised on the importance of low-fat diet in the prevention of various diseases like heart diseases and diabetes; however, it now appears that what really matters is the ‘type’ of fat and not the actual amount of fat. The addition of olive oil to your diet can significantly reduce your triglyceride levels. Being overweight comes with a whole lot of health issues – such as high levels of cholesterol, heart disease, and other disorders. By changing only a single eating habit; the substitution of saturated fats with olive oil, you can achieve a significant loss of body weight and fat mass. One of the major benefits of olive oil is that it doesn’t make the skin dry – it doesn’t drain the natural oil of the skin which can cause skin dryness, leading to wrinkles in the long run. People who know the benefits of olive oil for face apply olive oil to their faces almost every day and enjoy the benefit of getting toxins and dirt removed from their faces without drying the skin. Olive Oil also helps to keep the skin healthy and avoid dullness. Olive oil is rich in natural antioxidants which are needed by our body in large amounts. These antioxidants help to combat the free radicals which aid in aging in the long run. Hence, we can conclude that the regular use of olive oil can as well prevent or slow down the aging process of your facial skin, helping you to look younger and fresh. Organic olive oil helps in preventing the skin from tanning and sunburns. You might not need any additional sun protection cream if you use olive oil. Rich in vitamins, olive oil helps the skin to attain renewed vitality and a natural sparkle which is essential for a fresh skin. When you regularly wash your face with olive oil, you will realize that your skin has become softer with a fresh glow. Increased use can help you avert problems like excessive oily skin, rashes, and pimples on the skin as well as the onset of the aging process. There are different ways you can use Olive oil in your day-to-day life. You can consume it with food (a lot of people love adding it to their salad). A lot of kitchens are also replacing vegetable oil with olive oil. You can use it for skin and hair as well. Below are some ways you can use olive oil. Olive oil is used specifically in facial cleansers, facial masks as well as blended oil treatments that moisturize the skin and address scarring. When applied regularly, it reduces the prominence of stretch marks. Olive oil is rich in vitamins and minerals that are beneficial to the skin which makes it a popular ingredient in a range of skin care products. Health practitioners are of the opinion that olive oil is good for the skin and is very effective in fighting skin cancer. Olive oil acts as a perfect moisturizer for the skin because it contains linoleum acid which keeps the body moist. An addition of olive oil to water would provide a healthy soak which is good for your skin and refreshes you up. Are you having an issue with your hair? Is your hair dry or damaged? Olive oil can help you get rid of these hair issues. It is a well-known fact that olive oil is good for hair growth. You should apply olive oil to your hair every day if you have problems related to frizzy hair and need ways to tame them. In a very short time, you’ll see the difference. All you need is to shampoo your hair after applying olive oil for some time; you’ll thereafter love your hair. Considering the numerous health benefits of olive oil mentioned above, olive oil, in addition, can be used in cooking. High quality, extra virgin olive oil for cooking should be reserved for use in dressings, dips, and vinaigrettes. Replace olive oil for butter in baked potatoes, or incorporate onto cooked vegetables or fish. An additional way to enjoy olive oil in your diet is to use it for non-stick oil when a recipe calls for butter or spray oil. Sprinkle into your pan and evenly spread with a paper towel to ensure complete coverage. Extra Virgin Olive Oil is High in Vitamin E and Antioxidants, which helps fight oxidation that is why we always recommend extra virgin olive oil. Olive oil has become so popular that you can now find it in most of the grocery stores. If you want to save that trip and want it delivered to your doorstep, you can buy it from Amazon (here is the link). You can also get from Big Basket or Grofers (if you use those apps for grocery shopping). One thing you will note is that Olive Oil is quite expensive. If you want to use it without messing your household budget, you can replace regular vegetable cooking oil every once in a while with Olive Oil. Also, it does have a unique taste and might take some time to get used to it (that’s what happened to me at least). But no matter what, there is no reason to not adopt olive oil in our daily life. From all we’ve discussed so far, you would realize that the benefits of olive oil are wide and everybody should enjoy the beautiful flavor and health benefits of this popular oil. If you haven’t tried olive oil before, ensure you pick up a bottle on your next visit to the grocery store because now is the perfect time to give it a go. Flax Seeds Benefits (Poonaikali Seeds). Tamarind Juice Recipe and Health Benefits (Imli).